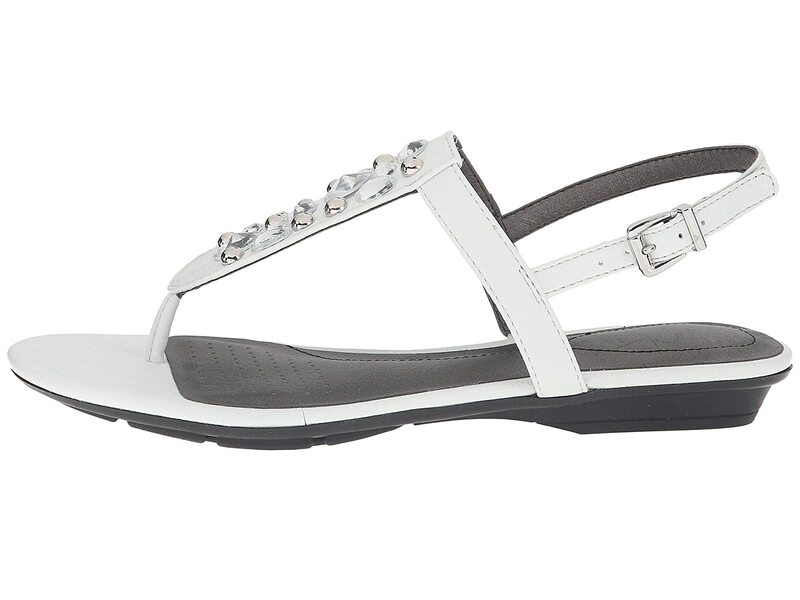 You'll make the town green with Envy when you step out in this beautiful and blingy silhouette! 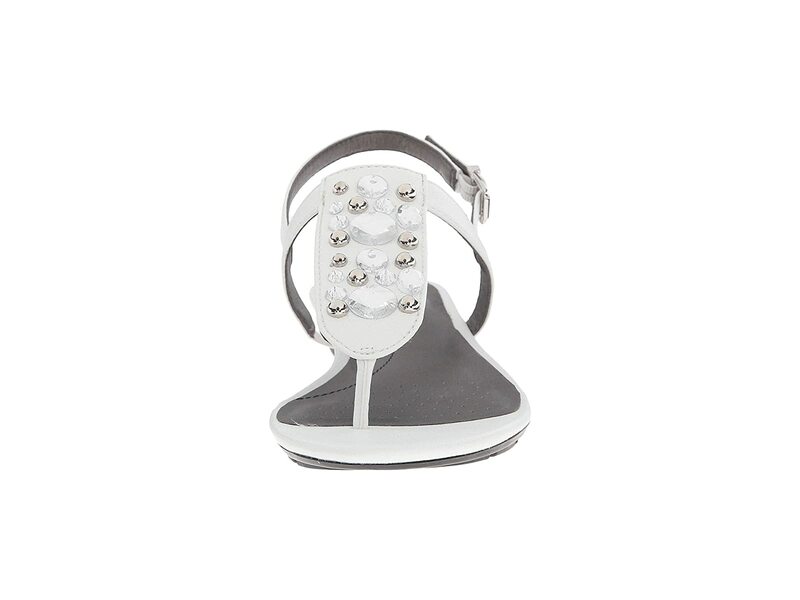 Smooth synthetic uppers with decorative jewels and metal studs at center. 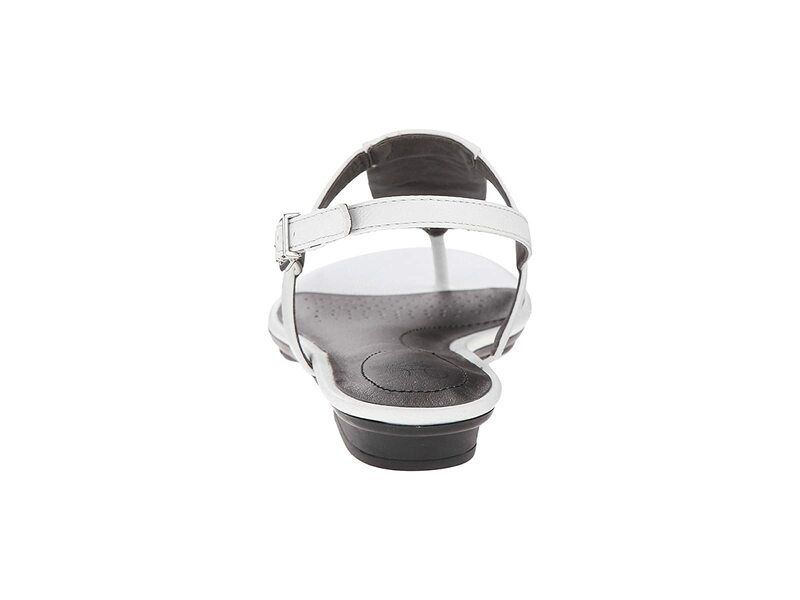 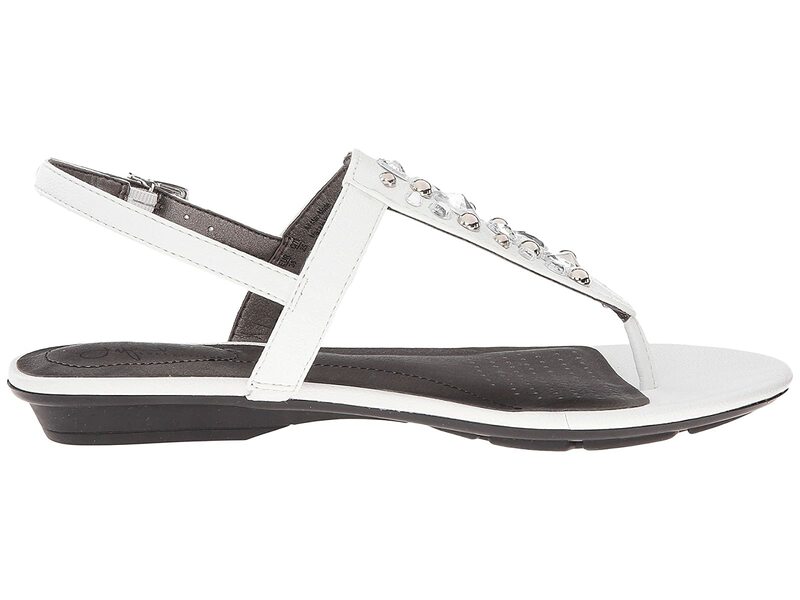 Offers a soft toe post and an adjustable buckle closure at ankle strap. 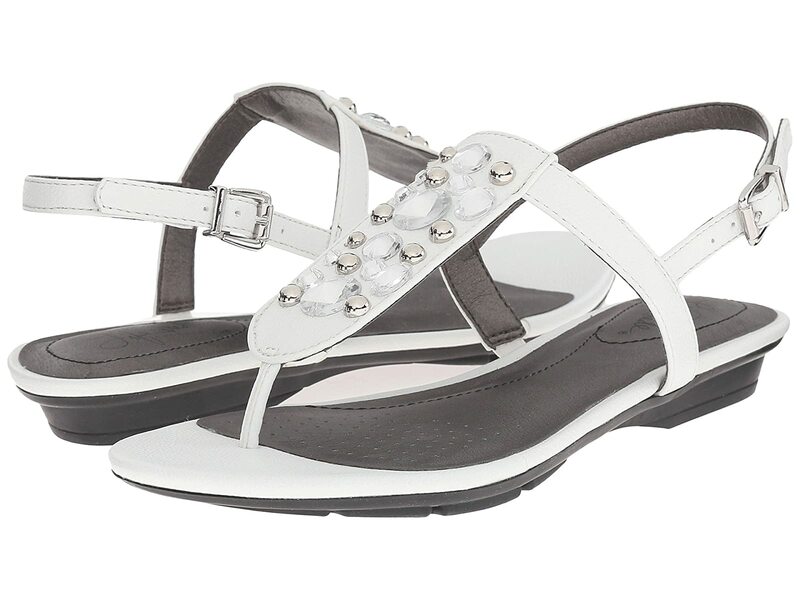 Features SoftSystem® technology offers high rebound foam, added heel cushioning and provides stability and balance for all-day comfort. 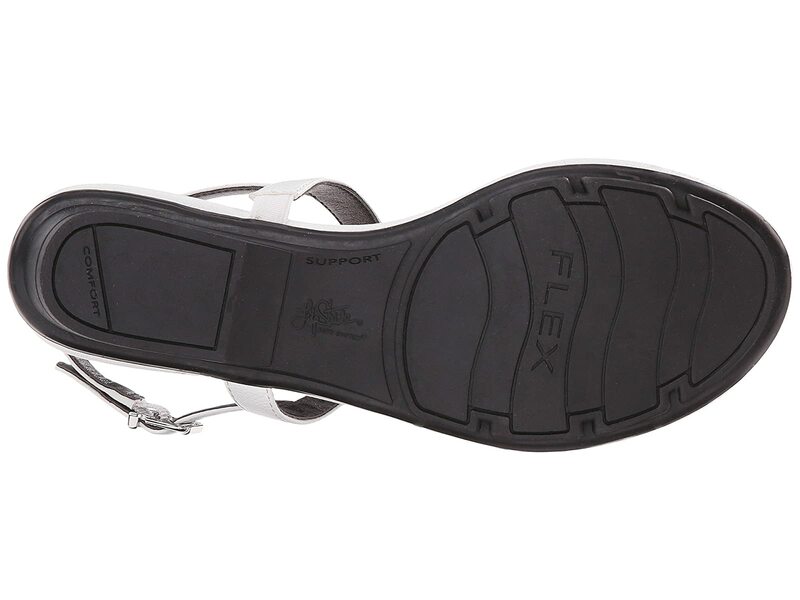 Flexible man-made outsole with added traction.